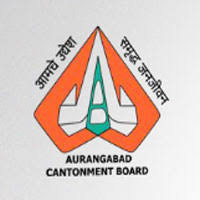 Aurangabad Cantonment Board Recruitment 2018 – 11 Jr Clerk, Peon & Other Posts :- Aurangabad Cantonment Board has issued notification for the recruitment of 11 posts of Junior Clerk, Pump Operator, Peon, Mali, Pound Keeper, Lab Assistant, Daya & Midwife. Interested & eligible candidates can apply in prescribed application format within 15 days from the date of publication of advertisement in the Employment News. Age Limit: 18 to 25 years as on date of application. For Junior Clerk : Graduate passed, Passed Exam in Certificate Course in Information Technology (MSCIT) of any Govt Technical Board. Passed English typing with 40 wpm from Govt Technical Board. For Peon : 10th class passed. For Pump Operator : 10th or 12th passed with ITI certificate of Pump Operator from Govt Technical Board. For Pound Keeper : 12th passed with knowledge of reading and writing English, Hindi and Marathi. For Mali : VIII to 10th passed. For Lab Assistant : XII Sc passed with DMLT passed from Govt Technical Board. For Daya : 10th passed, passed training course of Midwifery under Bombay Nursing Act. For Midwife : 12th passed, Passed Auxillary Nurse Midwifery course under Bombay Nursing Act. Application Fee: Demand Draft of Rs.200/- by in favour of Chief Executive Officer, Aurangabad Cantonment Board. No fee for ST Candidates. Last Date to Submit Application Form : Within 15 days from the date of Advertisement. How to Apply: Interested eligible candidates can send their application in prescribed format along with all necessary documents to the Chief Executive Officer, Aurangabad Cantonment Board within 15 days from the date of advertisement. Subscribe our Free Job Alert Mail Service for Aurangabad Cantonment Board Recruitment 2018.